Google added a number of new software features in the developer build of Chrome OS this week, with at least one indicating the company could be looking at new form factors for the Chrome OS platform. Google(s goog) had to pull the release due to an unrelated bug, but in the release notes, it said Chrome OS now supports screen rotation. That’s a feature typically reserved for devices that are used in both portrait and landscape, such as tablets. Since Google pulled the release, I haven’t been able to install the software on my Chromebook Pixel for testing but I will as soon as I can to verify the function. Still, the wording seems pretty clear: the notes say you can “rotate the screen on all Chromebooks” with this software update. I can’t really think of a reason I’d want to rotate the screen on my Pixel — or any of the other Chromebooks currently available — so I’m thinking either a Chrome OS tablet or a Chromebook with rotating touchscreen is the works. Perhaps we’ll hear more at Google I/O next month? Although this might be a stretch on my part, I see another sign of new form factors or Chrome OS tablets. The updated Chrome OS build adds a “New Immersive browsing mode – browse the web with only 4px of Chrome.” While this will be handy on any Chromebook, it can help maximize the screen space of a smaller tablet. However, I may be reading into that function too much. Still, I could see Google pushing the envelope when it comes to Chrome OS hardware. Heck, it just did that with the Chromebook Pixel, bringing a premium Chrome OS experience at a premium price. How could Google continue down this path? 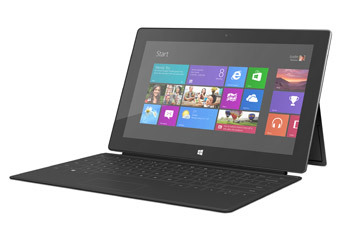 A Chrome OS tablet with docking keyboard, similar to Microsoft’s Surface(s msft) hardware would be my best guess. That design would bring the desktop browser experience to a more mobile device while still allowing users to work on a laptop-like computer with a dock or keyboard attachment. The touchscreen feature originally pioneered on the Pixel would come in handy for such a device although Chrome OS would need an on-screen keyboard. Guess what? A peek at the Chromium source code from two weeks ago shows that Google is working on just that: A software-based touch keyboard for Chrome OS. Interestingly, past Chrome tablet rumors have turned out be to that: Simply rumors. In fact, Google’s vice president of engineering Linus Upson told TechRadar in May of 2012 “We are not working on a Chrome OS tablet.” But that was then and this is now. We’ve already seen a major shakeup at Google when Sundar Pichai, SVP of Google Chrome and Apps, took over Android from Andy Rubin last month. Perhaps this is all related to a new direction for Chrome OS? It’s worth noting also in the new Chrome OS software are the improvements to the Files app that we discussed on our GigaOM Chrome Show podcast this morning. Users of Chromebooks and Chromeboxes can expect to see file options for recently viewed files, shared files and files that are marked for offline use. Your article is interesting because it points out those two operating systems could run eventually on whatever device. But clearly the idea of Chrome OS is “there should be only web apps” and we are not there yet. The quality of the web apps are not as good as a classic app. In my opinion Chrome OS is too restrictive for now but in few years web applications quality will be much better and Chrome OS concept will be interesting. What do you think? â€œBut no apps?â€ â€“ Chrome DOES have apps. Web apps, which are getting more and more powerful. Google sees a potential future where native apps are unnecessary. Lots of monitors tilt to portrait mode. Both Windows and MacOS have screen rotation features to facilitate this. I want to see Chrome OS advance like that. I love the hassle-free experience that even Android doesn’t deliver. 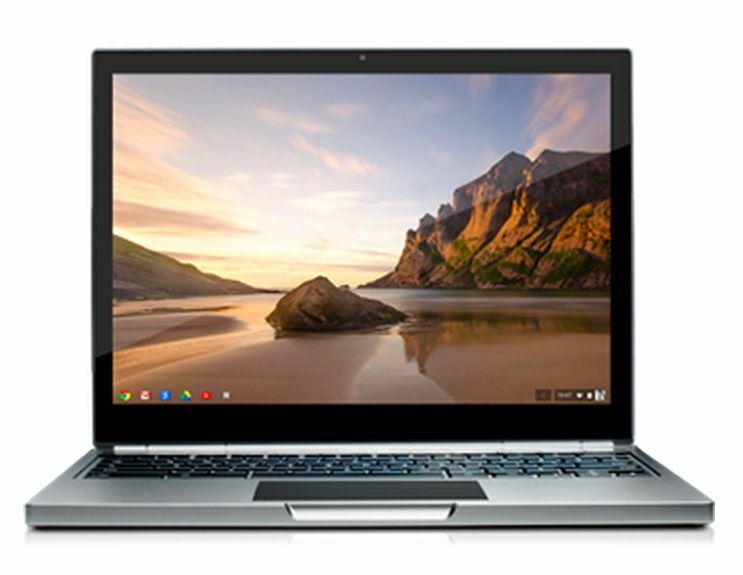 Chromebook being popular with Chrome OS on Android platform sounds a cool offer. Reading novels or books on tablets- a good user experience with screen rotation adds more value to it. I don’t see a tablet-only device being the objective. When you consider that Chromebooks are gaining the most ground in schools, it makes sense to develop a convertible device that offers a better reading experience. Any device used in schools would require a keyboard–that’s one reason so many districts are choosing them over the iPad. Reading books on a tablet with the screen oriented towards greater vertical length is just more natural and comfortable. I can even see using the screen rotation on my Samsung ARM for reading a book as it is so light. Of course, the touch screen will give it added versatility. I own multiple types of tablets, and have used android for a long time (2.0 I think) … I have found that the chrome OS is faster to boot, update, and shutdown, and is a good contender for what I think most of the population would use/need. Don’t get me wrong, I love my android devices; however, I have found alot of performance issues and some stability with the android register swapping. Only android devices with proper stack/kernel mgmt (Moto ICS based) and Samsung 4.1+ with 2GB of memory has come close the stability I would expect. I see completely no upside to ChromeOS tablets. Now, a chromebook running Android would be very interesting – of course, that’s just an Asus transformer, right? The web-only thing is already hard enough to swallow on a traditional computer. But no apps on a tablet? If that’s the direction Google is headed, it is going to have a hard time convincing almost anyone, given how ingrained the app culture has become. That’s true, but I think there are enough Chrome OS users out there for the web-only thing to gain a foothold on tablets and smartphones. At first I was skeptical of the cloud-based Chromebook I have, but now that I use it, it makes way more sense to me than the traditional desktop app-based systems. Personally, I have been waiting for a Chrome smartphone to hit the market. I’m sure there are enough Chrome OS fans out there to roll it out successfully. When does chrome just take over for android on high end smartphones and tablets? Android will be used on low end devices and cameras. Yes, I know google says it won’t happen, but does anyone believe them? I don’t. When we go 64 bit on mobiles next year, we’re going to need a very reliable, compact OS, have you noticed how much hard work windows bloatware has become, if you’re an owner builder, it’s become sheer hades. All those avenues for malware in 100 GB of software, memory is for games, movies all the way to 3D UD, Chrome OS could get out of the way and let the hardware do its wonders. By keeping it simple and doing everything in massively parallel, we can truly exploit the power of billions of transistors, take Xbox 720, 8 cores, 8 GB GDDR5, AMD 8 series graphics, with heterogeneous computing it can clear a trillion floating point calculations a second. A similar device with a 120 GB SSD, with Chrome, serving a powerful Chrome tablet could do amazing things and not self conflict, even with each of its 8 x86/64 bit cores having 8 times as many transistors as an ARM core.